Take a look along any high street and it's easy to see just how powerful signage is. Signs show you your bank or favourite restaurant. 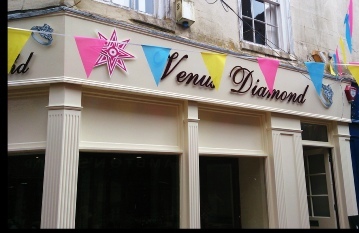 Well designed signage is an essential part of any business plan if you wish to be certain your customers see your business message, day or night, open or closed. It really is one of the most cost effective advertising medium with proven returns for your business. Impress Sign Design Print’s professional and dedicated team will ensure maximum impact for brand by advising, manufacturing and installing the best signage for you and your business. Please explore our site and take a look at our gallery to see how with over 10 years of experience we can make your business stand out amongst the crowd. 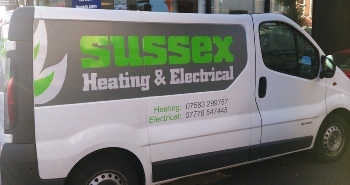 When you need a Sign maker in Worthing who can deliver a fast response to your project requirements, Impress Sign Design Print tick all the right boxes. 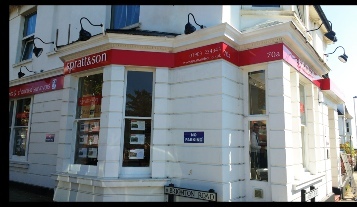 Highly-respected, they have built up an enviable reputation as the leading sign maker in Worthing. Well-designed signage is an essential advertising medium for any business, so it’s vitally important your ‘message’ encapsulates what your business is all about. LED illuminated fascia sign or light box, we can help. We have a multi-disciplined background, with many years of experience in sign making. Fresh approach and clean, contemporary designs also are our assets. Vehicle Signs and Vehicle Graphics are a fantastic way to adverti se when you are on the move, this is a 24/7 billboard for your business. We offer lots of different ways to advertise on a vehicle we can use single colour vinyl or mix the colours to make the vehicle signs stand out , We also do full colour prints which are really effective. Magnetic Signs are a great way to advertise if you do not want the vehicle signs on all the time this way you can put it on and take it off in your own time. Car windows are a perfect place to advertise as their is always someone sat behind you i.e traffic light, traffic jam. We can vinyl on Curtain sides for LGV’s, Chapter 8 (Road work and Temporary situation) when you need to be seen. We do taxi signs as this is a great way to advertise as they are always on the move and in busy places. We offer vehicle wrapping and part wrapping i.e. roof colour change.